The customer master data in SAP is the vital part in SAP SD configurations, when master data records are created, users don’t concern which fields is optional, mandatory or not necessary. this tips shows you how to customize master data customer screen that allow you to hide unnecessary fields, make entries in mandatory in critical fields by changing the fields status settings. In the screen you can select which fields are mandatory, required or optional or you can supressed any of fields for each customers account group. This is not good to change standard delivered account group if you want to change it, copy that account group so you can make changes to it. When you double click on selectd group you’ll see screen with the general setting, in the middle part of this screen you have a section labeled FIELD STATUS. 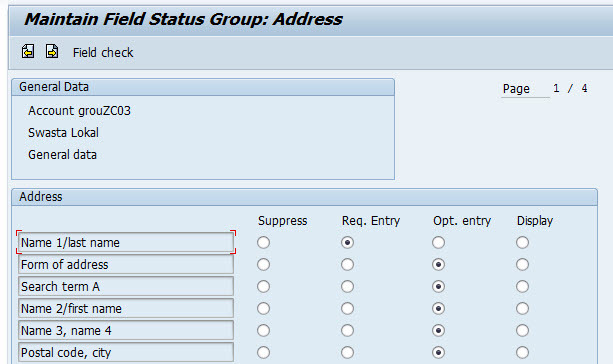 Double click on Field Status part of screen , you can see three of field status : General Data, Company code Data and Sales Data from there you’ll be taken to the FIELD STATUS GROUP Screen, the field status group are organized in the same way as the field group in the customer master screen. 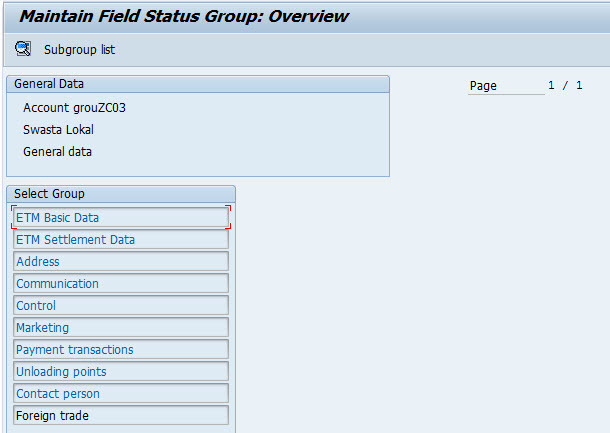 Double click again on the group in the list that will take you to the settings for each of the fields in the group. Required Entry : When you select this the field are mandatory and the data must be entered to them. Optional Entry : These field are optional you can enter or not. Display : the fields appear grayed out and won’t allow to enter data to them. 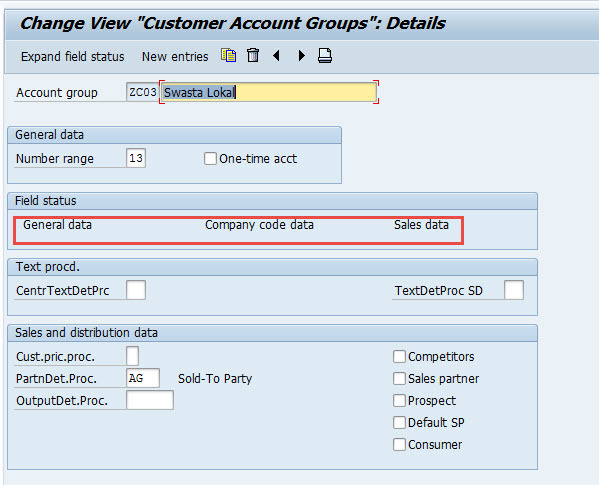 After save you configuration, you can see the result on transaction SAP for customer master data.